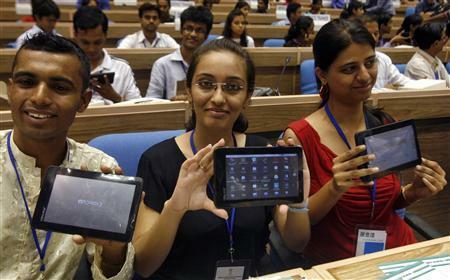 India is planning to have its own 100 percent made in India tablet PC. The base production will be the Aakash Tablet PC, currently available at Rs 1,100 to students after government subsidy. This comes down to around $ 22 US dollars. The manufacturer of the Aakash Tablet PC is Datawind, a UK based company and it is currently selling the Tablet under the brand Ubislate7 for Rs 2,500 (Around $35 US Dollars). It is manufactured in India.